TOP Year 2023 . 3 Mins Walk to MRT . 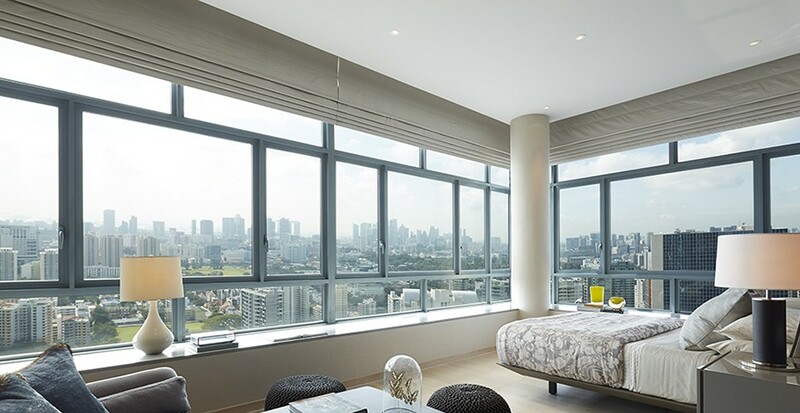 Here is a preview of the upcoming Rivière condo developed by Frasers Property Singapore. 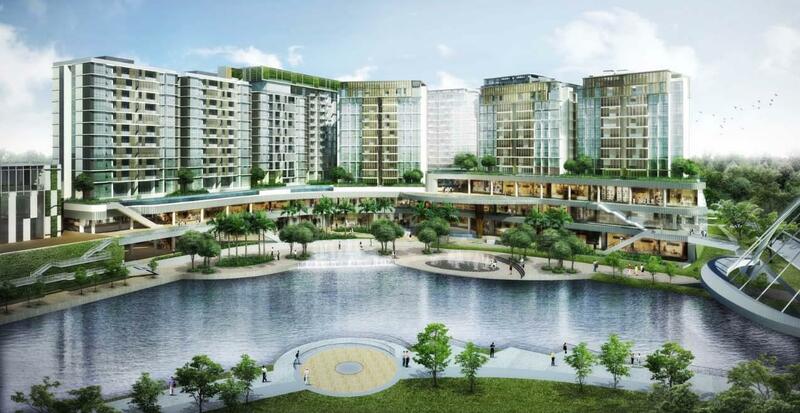 A premium riverfront 455-unit residential project along the Singapore River, at Robertson Quay in District 09. 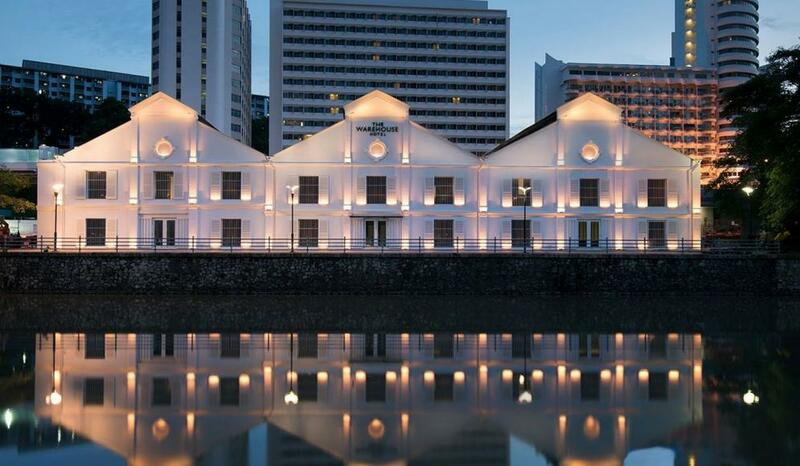 It is part of a mixed-use development that includes serviced apartments – Fraser Residence Promenade – and 3 conservation warehouses, that once housed the popular Zouk nightspot. 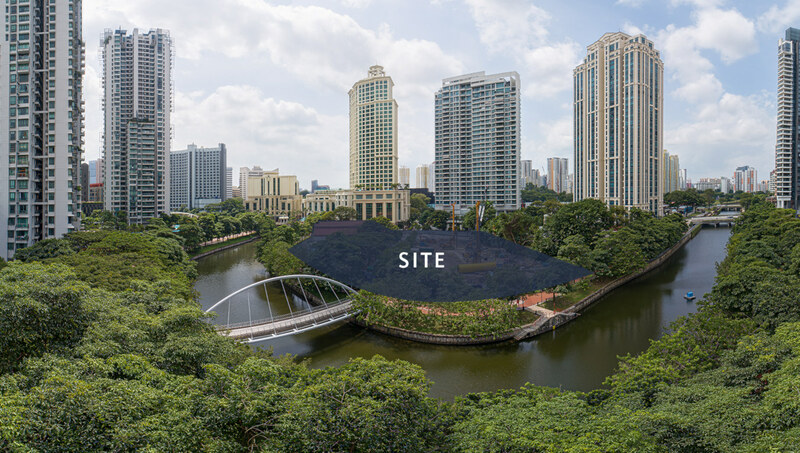 The Rivière Singapore site is considered a plum one – very convenient and accessible. 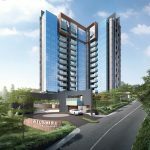 It is less than 3 minutes walk from the Havelock MRT station, and 5 minutes walk from the Great World station, on the Thomson-East Coast (TEL) MRT Line. This stage of the TEL line is due to open by 2021, before the completion of the Rivière condo. Diagonally across Kim Seng Road, we have Great World City mall with its huge range of shops and F&B outlets, supermarket, and services. And of course, within its immediate neighbourhood is Robertson Quay with its cosmopolitan vibe, a hot spot for dining and wining, and chilling out. The design concept of the Rivière condo will encapsulate the dualities of the site. The dualities of legacy beside modernity. Of community yet individuality. Of quiet amidst 24/7 buzz. Residents here will have the best of two worlds. A vibrant sophisticated lifestyle, but able to retire to a place of serenity and absolute privacy. Rivière will comprise 455 apartments housed in two 36-storey residential towers, part of a larger precinct that includes serviced apartments and 3 conservation warehouses. Frasers Hospitality will manage the serviced apartments and commercial space in the conservation warehouses. On a corner of the Rivière site, are the three conserved warehouses formerly occupied by Zouk. These will be restored. With their high vaulted ceilings, they present very interesting architectural possibilities, and will contribute richly to the heritage character and uniqueness of the project. They will also be in keeping with the pedestrian-friendly nature of the surroundings, and its lively street scene. The Warehouse Hotel nearby was also from a conservation of similar former warehouses. Rivière Singapore would probably appeal to those who work nearby, perhaps in the Downtown CBD area. It is about 10 minutes drive to the Raffles Place / Shenton Way / Marina Bay Central Business and Financial District, not too far down-river. There is a strong community of expatriate residents here, who are drawn to the character and vibe of the neighbourhood. It is not just another run-of-the-mill precinct. Hence the Rivière condo might interest buyers looking to invest in a place with strong tenant appeal. Robertson Quay is the innermost of the three quays along Singapore River, the others being Boat Quay and Clarke Quay. Of the three, it is the least rowdy, and most laid back and relaxed. There is a leisurely character and vibe to the place, with its more cosy family-oriented nature. Besides its art galleries and old shophouses, the landscape of Robertson Quay has evolved. 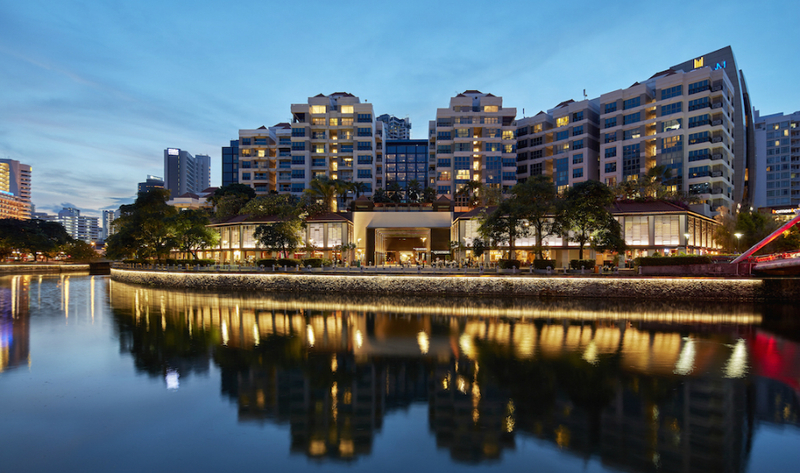 New restaurants, cafes and lifestyle outlets have come in, with new condominiums and hotels, such as the InterContinental Singapore Robertson Quay, and the really interesting Warehouse Hotel. 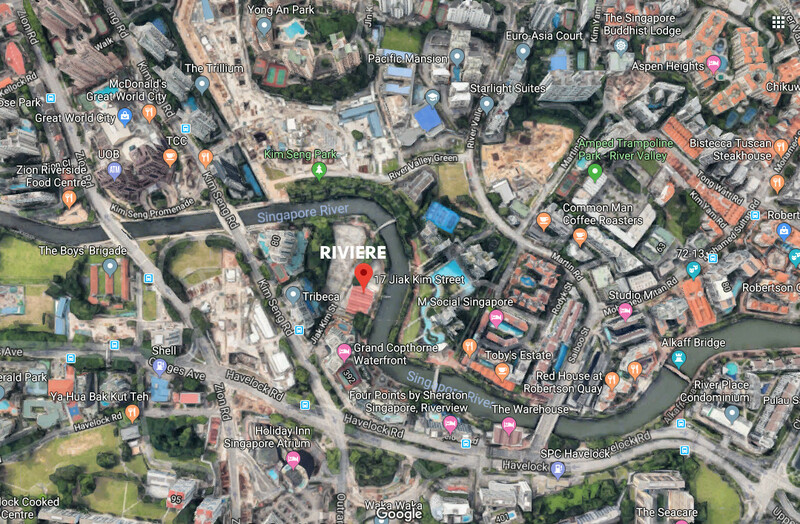 There is a bridge across the river just where the Rivière condo is located, that takes you over to the Robertson Quay and Martin Road side where many of these new hotels and condominiums are. From there too, the road leads up to River Valley and the Orchard Road area. 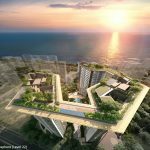 The Rivière Singapore and Fraser Residence Promenade site was one of the most sought after of the GLS (Government Land Sales) plots to come on the market in recent years. Which is perhaps hardly surprising, given its prime position within a chic residential precinct. This is a direct riverfront development, separated only by a footpath from the water. The Rivière condo sits on a loop of the Singapore River, such that more than half of the site has river frontage and views. The Rivière condo floor plan layouts are still pending approvals. Please drop us a note via the Contact Form if you would like the Rivière floor plans to be sent to you once finalised. Rivière condo residents will be able to tap on the Frasers Hospitality services as well. Such as the concierge, laundry, and housekeeping services. 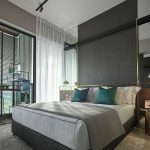 They will also have access to their curated and loyalty programmes (Fraser World Membership) and preferential booking rates at Fraser Residence Promenade. As can be seen from this bird’s eye view of the Rivière condo site, this project is in good company. It fringes a loop of the Singapore river on one side. On the other are 2 upscale condominiums (Mirage Tower and Tribeca), as well as the Grand Copthorne Waterfront Hotel. A footpath runs along the edge of the river on both sides of it. The bridge in front of the site is Jiak Kim Bridge. Across the river is a small park leading to River Valley Primary School, and another upmarket condominium, the Rivergate. The construction site above is that of the Great World MRT station, which is an underground station and line. Once that is completed by 2021 or so, the grounds will be reinstated to original condition, so the unsightliness is temporary. The Rivière condo showflat is not ready yet. Please let us know via the Contact Form below if you wish to be alerted when the Rivière showflat is ready to open. The Rivière pricing has not been finalised yet. Please let us know via the Contact Form below if you wish to be informed of the indicative pricing when available. This 13,481.7 square metre site was released for sale by the Urban Redevelopment Authority (URA) under the 1st Half 2017 GLS (Government Land Sales (GLS) Programme. It was hotly contested, with 10 developers bidding for the site. Frasers Centrepoint Singapore (now renamed to Frasers Property) was awarded the site in December 2017. Their top bid of SGD$955.4 million was just 0.6% higher than the next highest bid of S$950.0 million from Hong Leong Holdings and Hong Realty. 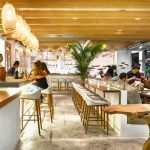 That is perhaps a testament to the attractiveness of the site, and its close proximity to Orchard Road, the business district, and the lifestyle precincts of the three Quays along Singapore River. Based on the plot ratio of 3.8 and resulting permissible gross floor area of 551,445 square feet, it works out to a land rate of SGD$1,732.55 per square foot per plot ratio (PSF PPR). After factoring in development costs, the break even could be around $2,400 PSF. We could be hence be looking at a selling price of around $2,800 PSF, which is similar to what the nearby 99-year leasehold Martin Modern condo is selling at. However the Rivière location is considered the better one. 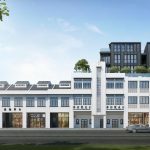 The Rivière is being developed by Frasers Property Singapore, a multi-national company that develops, owns, and manages a diversified property portfolio globally. The Group operates in Singapore, the United Kingdom, and Australia. It has an established hospitality presence in over 80 cities across Europe, North Africa, the Middle East, and the Asia Pacific. Frasers Property’s businesses span all the five property sectors – residential, commercial, retail, hospitality, and industrial and logistics – with assets totalling around SGD$32 billion as of the 3rd Quarter of 2018. 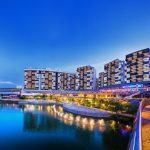 Locally, the Group is one of the biggest mall operators in Singapore, and ranks among its top residential property developers. It has delivered over 18,000 homes here, and oversees a portfolio of 12 shopping malls, and 11 office and business properties. Among the many residential projects are Martin Place Residences, One Jervois, 8 @ Mt Sophia, Soleil @ Sinaran, Flamingo Valley, St Thomas Suites, Camelot @ Tanjong Rhu, The Azure, The Raintree, the Waterfront series (Waves, Isle, Key, Gold) and integrated developments like North Park Residences and Watertown. In Australia, Frasers Property is a leading real estate group with more than 90 years experience and expertise in property development. This includes development of houses and apartments, residential land, retail, commercial and industrial real estate, and property investment, ownership and management. In addition, the Group is involved in property development Thailand, Vietnam and China. 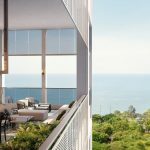 In its ongoing work, Frasers Property is able to draw upon its unique expertise gleaned from the development of complex integrated or mixed-use developments like One Bangkok in Thailand, and the award-winning Central Park in Sydney. 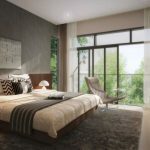 Frasers Property will have the benefit of the same expertise in making the Rivière Singapore a special product. Location. 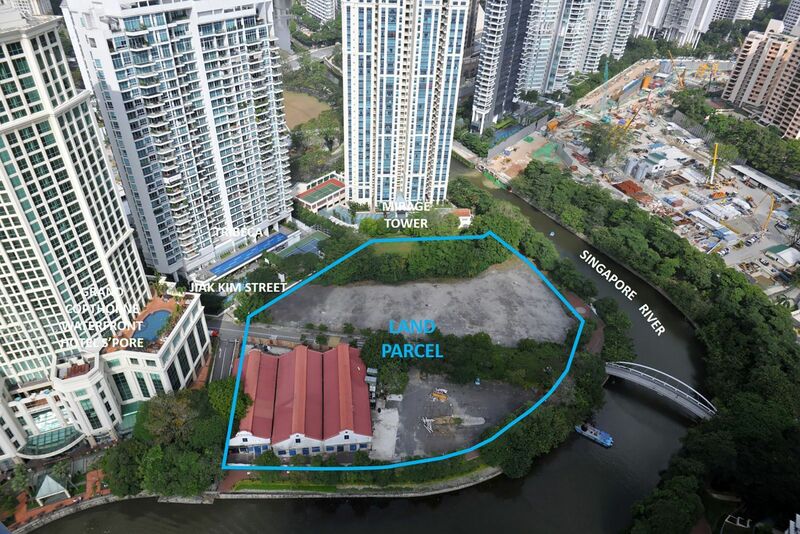 The Riviere condo site is at Jiak Kim Street, at a bend of the Singapore River in the Robertson Quay neighbourhood. 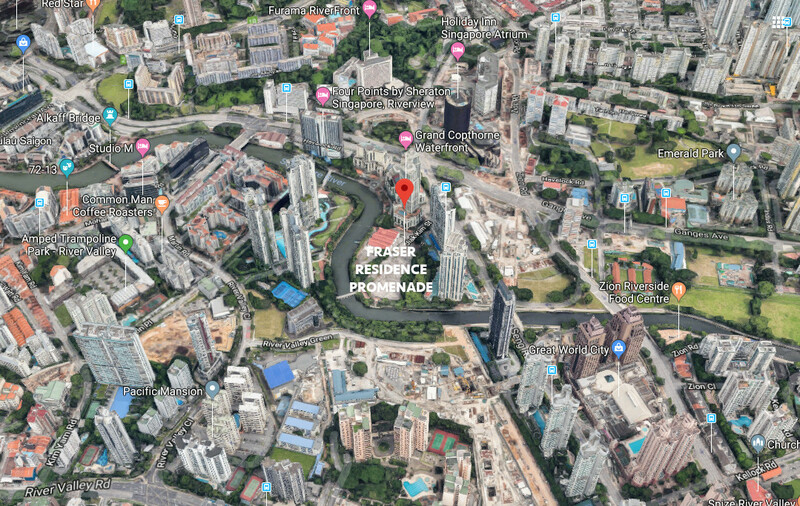 This is a prime District 9 location between the Orchard Road / River Valley enclave, and the central business district of Raffles Place / Marina Bay / Shenton Way. This Singapore River area around Robertson Quay is known for its delightful mix of old and new. The Riviere / Fraser Residence Promenade development will encompass both, with its 3 conservation warehouses, part of the gentrification and rejuvenation that is well underway in the precinct. Shops, Supermarkets, F&B, Hotels, Banks. The Rivière location is close to a number of hotels, boutique hotels, and shopping and F&B places, many of them lining the river too. Starting from Grand Copthorne Waterfront Hotel just beside the Riviere, to Four Points by Sheraton, past Warehouse Hotel and across the bridge to the Intercontinental Singapore Robertson Quay, down the river to Robertson Walk and UE Square Mall. And just 5 minutes walk away, across Kim Seng Road, we have Great World City shopping centre, that has almost everything, from supermarket to banks, restaurants, cafes, fast food, and a full range of shops and services. A promenade runs along the bank of the river, going down to Clarke Quay and the CBD. So Riviere residents can walk or cycle to work. Lifestyle Amenities. The Riviere location is beside Robertson Quay, part of the Singapore River Lifestyle Corridor that includes Clarke Quay and Boat Quay further down. These are all popular entertainment hotspots with their wide choice of cafes, restaurants, alfresco dining, bars and bistros, and hang loose ambience. 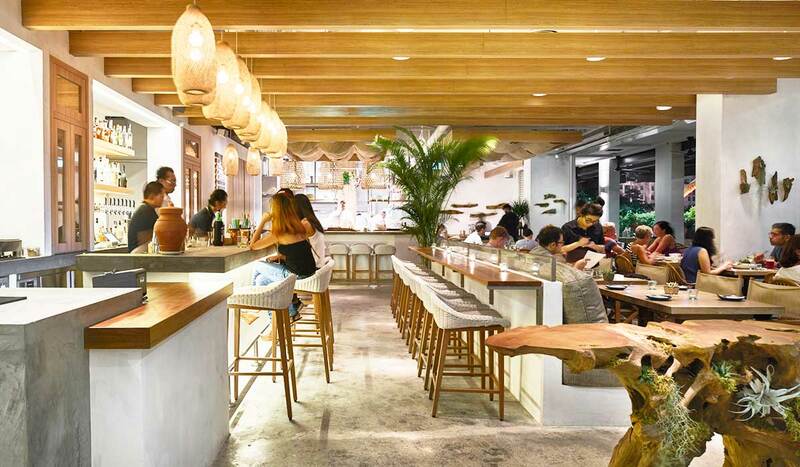 They exude a cosmopolitan vibe mixed with the rich character of the conserved shophouses along the quays. Schools. We have River Valley Primary School within 1 km of the Riviere condo location, in fact within a short walk of it. Just across the river over Jiak Kim Bridge, past a short stretch of Kim Seng Park to River Valley Green. And within a 2 km radius, we have Alexandra Primary School at Prince Charles Crescent, St Margaret’s Primary at Wilkie Road, and CHIJ Kellock Convent. Nearest MRT Station. The Rivière Singapore sits between two stations on the Thomson-East Coast MRT line. About 200 metres or 3 minutes walk to Havelock station, and 350 metres or 5 minutes walk to Great World station. This line runs up to Orchard and Thomson Road, and down to Shenton Way, Marina Bay, Gardens by the Bay, and the East Coast. Accessibility. The Riviere location is in the Core Central Region, close to Singapore’s central business and financial centre. It takes less than 10 minutes drive off-peak to get to Raffles Place or Marina Bay, which appeals to potential tenants working there. This place also has fast access to the expressway network via the CTE (Central Expressway), through Clemenceau Avenue from Havelock Road.